Submitted photos Jamestown Senior Center held their 4th Annual Senior Prom June 29. 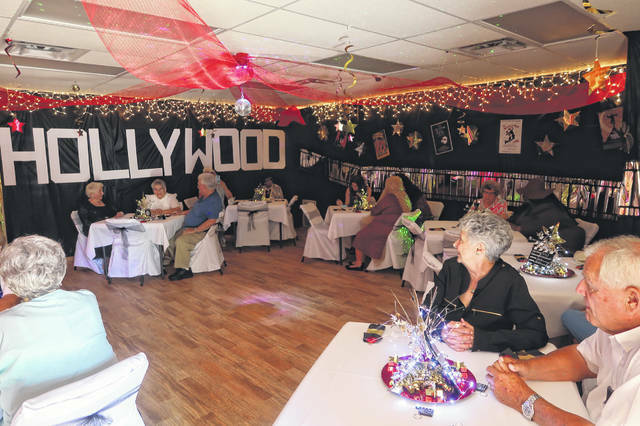 With a Hollywood gala theme, senior stars and starlets walked the red carpet as they arrived at the Jamestown Senior Center. Several of the 24 in attendance came dressed as Hollywood’s elite actors and actresses. The evening included dancing, refreshments and games. Jamestown Senior Center held their 4th Annual Senior Prom June 29. 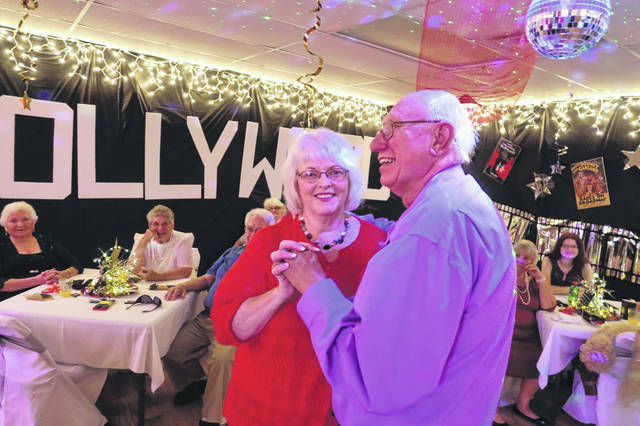 With a Hollywood gala theme, senior stars and starlets walked the red carpet as they arrived at the Jamestown Senior Center. Several of the 24 in attendance came dressed as Hollywood’s elite actors and actresses. The evening included dancing, refreshments and games. https://www.xeniagazette.com/wp-content/uploads/sites/32/2018/07/web1_Hollywood1.jpgSubmitted photos Jamestown Senior Center held their 4th Annual Senior Prom June 29. With a Hollywood gala theme, senior stars and starlets walked the red carpet as they arrived at the Jamestown Senior Center. Several of the 24 in attendance came dressed as Hollywood’s elite actors and actresses. The evening included dancing, refreshments and games. https://www.xeniagazette.com/wp-content/uploads/sites/32/2018/07/web1_Dancing.jpgSubmitted photos Jamestown Senior Center held their 4th Annual Senior Prom June 29. 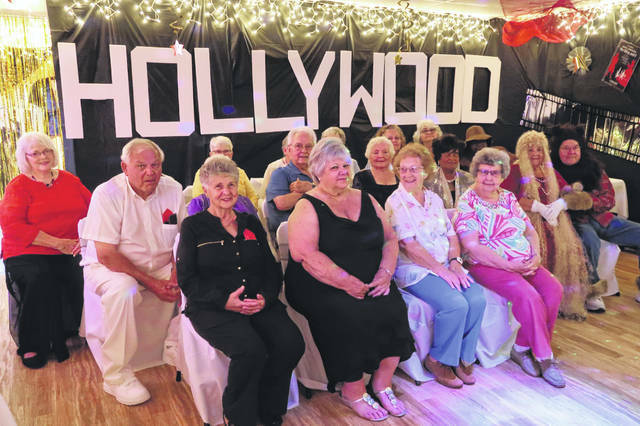 With a Hollywood gala theme, senior stars and starlets walked the red carpet as they arrived at the Jamestown Senior Center. Several of the 24 in attendance came dressed as Hollywood’s elite actors and actresses. The evening included dancing, refreshments and games. https://www.xeniagazette.com/wp-content/uploads/sites/32/2018/07/web1_RedCarpet.jpgSubmitted photos Jamestown Senior Center held their 4th Annual Senior Prom June 29. With a Hollywood gala theme, senior stars and starlets walked the red carpet as they arrived at the Jamestown Senior Center. Several of the 24 in attendance came dressed as Hollywood’s elite actors and actresses. The evening included dancing, refreshments and games. https://www.xeniagazette.com/wp-content/uploads/sites/32/2018/07/web1_Hollywood2.jpgSubmitted photos Jamestown Senior Center held their 4th Annual Senior Prom June 29. 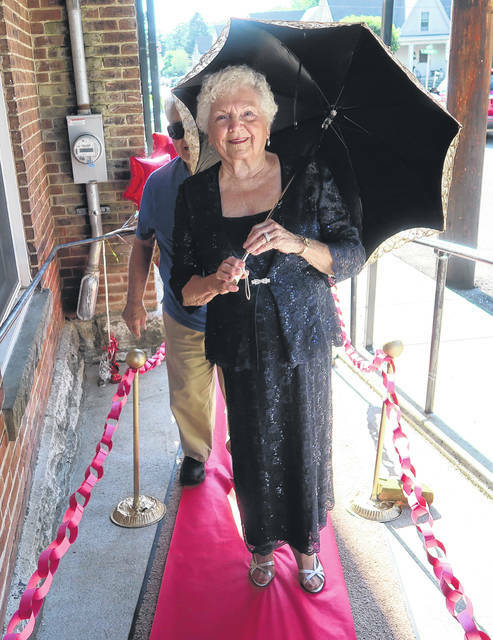 With a Hollywood gala theme, senior stars and starlets walked the red carpet as they arrived at the Jamestown Senior Center. Several of the 24 in attendance came dressed as Hollywood’s elite actors and actresses. The evening included dancing, refreshments and games.